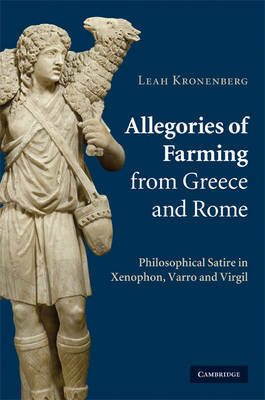 In this book Professor Kronenberg shows that Xenophon's Oeconomicus, Varro's De Re Rustica and Virgil's Georgics are not simply works on farming but belong to a tradition of philosophical satire which uses allegory and irony to question the meaning of morality. These works metaphorically connect farming and its related arts to political life; but instead of presenting farming in its traditional guise as a positive symbol, they use it to model the deficiencies of the active life, which in turn is juxtaposed to a preferred contemplative way of life. Although these three texts are not usually treated together, this book convincingly connects them with an original and provocative interpretation of their allegorical use of farming. It also fills an important gap in our understanding of the literary influences on the Georgics by showing that it is shaped not just by its poetic predecessors but by philosophical dialogue.